The rapid pace of digital media obsolescence must be countered by preparation and process. 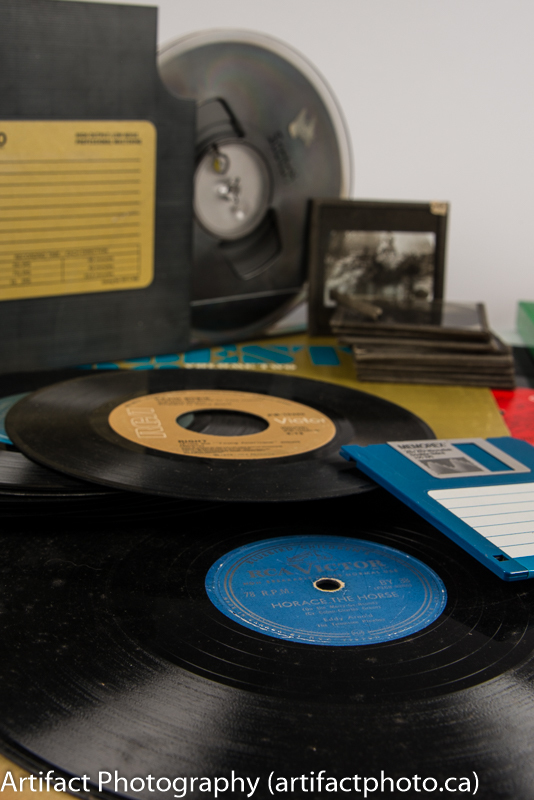 Here’s how to keep your digital archive accessible in future years. The Internet is forever! Right? Probably not. History has repeatedly demonstrated how the latest technology becomes obsolete. 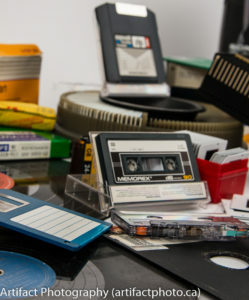 You likely will want to do more than just view your files online as they age so it’s best if you have a strategy for dealing with hardware and software obsolescence, file format changes and just how do you organize all of those images? There’s a whole field of study called Digital Asset Management, and I’m not planning to go into it right now. I’m limiting myself to your digital photographs. Suffice it to say Digital Asset Management is concerned with the total solution, including physical (the on/off signals on a carrier media), logical (computer readable code), conceptual (the “performance” or how it has meaning to humans), and the elemental (the combination of elements that together offer future users the essence of the object). Deep. 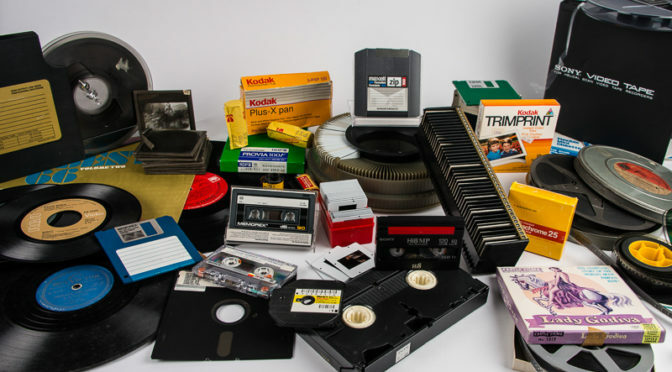 Over my lifetime we have moved from punch cards, paper tape, 8″ floppy disks, 5.25″ floppy disks, 3.5″ floppy disks, both single sided and double sided, Zip disks, a whole array of hard drive technologies, even cassette tape. Anyone remember 4mm DAT? And it’s still continuing: when was the last time you put a CD-ROM or DVD-ROM into your computer? Will USB sticks be around in the near future? To ensure obsolescence doesn’t trap you (I still have a dandy article I wrote on a 8″ disk for a Xerox 850 word processor which I no longer have and can’t read), you need a plan to migrate your images from whatever media they are on, to whatever medium comes next. The rule of thumb is to keep three copies, in two different places, on two different types of media. I keep my images currently on large hard drives. As new technology comes along, I move them to ever larger hard drives. I keep them on at all times and I periodically check them for errors. One is located in my office, on my desk, another is also in the house, but in another room, hidden in case of theft. The third is located off site and far away, in case something goes amiss at the house. When I create distribution copies, they are either copied onto small, portable hard drives, or a set of DVD-R disks, and then given to the recipient. The DVD-R disks count as the second kind of media. I’m quite likely to move to Blu-Ray disks as soon as I can find some information on how long they remain readable. 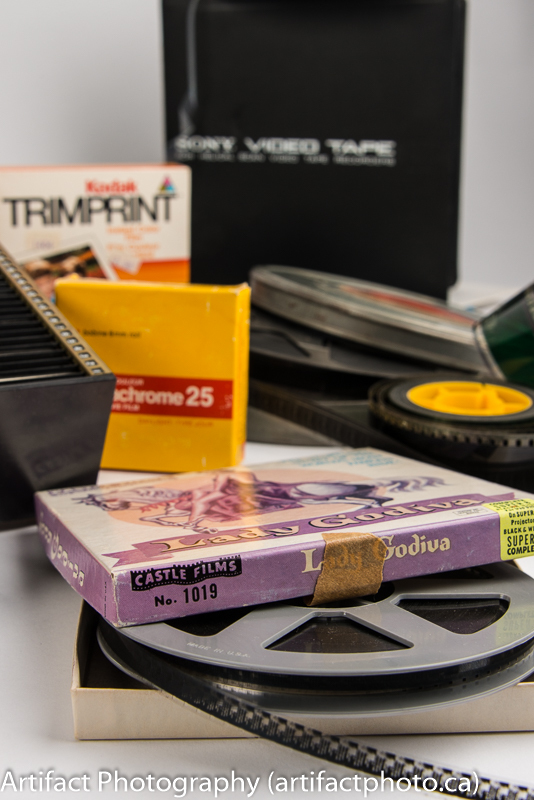 A good reference on the longevity of optical media is the Canadian Conservation Institute’s CCI Note 19/1. There are a bewildering array of formats you can keep your images, video, and audio recordings in. The trick is to use ones that are non-proprietary (open) and in wide use. I photograph in RAW format, and when I download my camera to my computer, I convert them to DNG to work with Adobe Lightroom and Photoshop. Once I have finished working with them, I export them into the lossless format, TIFF, which is also what Photoshop saves images as. I use no compression, the colour space sRGB, with 16 bits/component. I do not resize them. 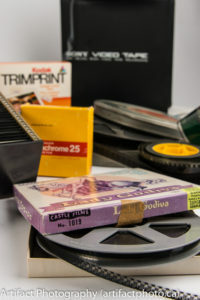 Old negatives and print which have been scanned were scanned at a high enough resolution for today’s printers – 600 DPI (many archives suggest 400 DPI). Because I have no idea what users will need them for in the future and because storage is relatively inexpensive, I go for the higher resolution. I add no watermark to archival images, but I allow all metadata to be included except location information, because that reflects where my cameras took the image and if it’s a copy of an older image this would not be helpful. I also write the keywords as a Lightroom Hierarchy. Because I also seem to need them on the web, I make a low resolution JPEG copy. These are saved at the standard resolution of 800 pixels on the long edge, quality at 60%, and resolution at 72 pixels per inch. They are sharpened for screen, set to high. 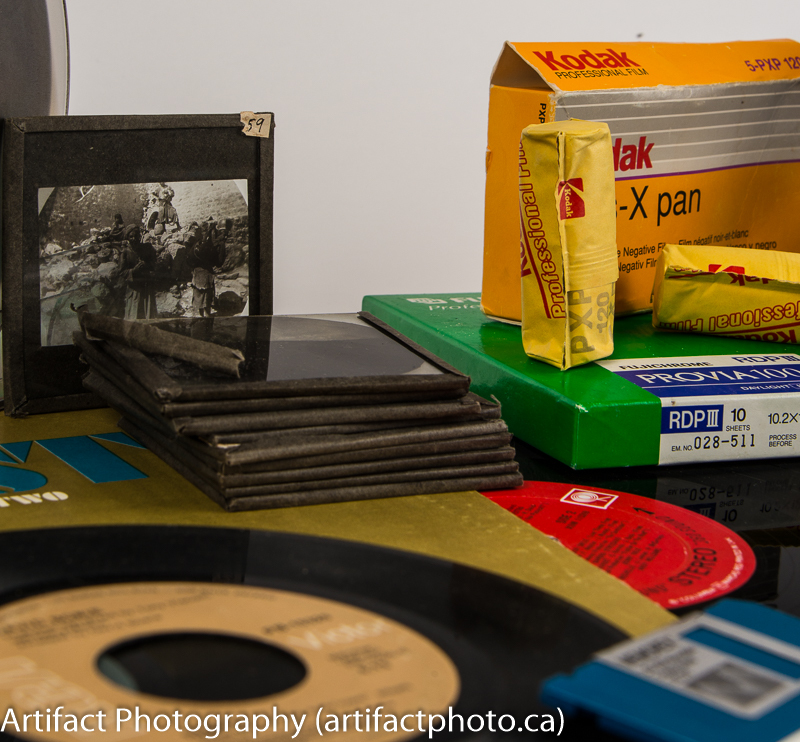 Again, I add no watermark to archival images, but I allow all metadata to be included except location information. I also write the keywords as a Lightroom Hierarchy. Because I keep them in two different formats, for two different uses, I create three identical file structures (trees) under the broad name of each the the formats (/TIFF; /JPEG). I’m not going to attempt to deal with audio and video standards at this time, but if you want to go down that rabbit hole, there is very good information on the Library of Congress site, especially their Library of Congress Recommended Formats Statement 2016-2017. Beyond the broad name format of TIFF or JPEG, I further break the structure by classifications on what the collection of images is about, for instance, if the images are about a town in Ontario called Welland, I might build the structure \TIFF\Ontario\Welland. If they are all identifiable as dating from the 1920s, then I might further add \TIFF\Ontario\Welland\c1920. 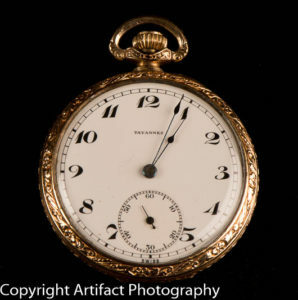 If the images are of pocket watches, then the structure might be \TIFF\Pocket watches\Tavannes\1944. Ideally, you should give each image a unique, highly descriptive name, but I find in the rush to get a large number of images out, this is not practical. When I export the files for archiving, I use the renaming format of Custom Name (x of y), or Custom Name – Original File Number, depending on whether I think more images of the same subject will be forthcoming. The Custom Name part is where you put the description, so the first of 14 photographs of my Tavannes watch would be called Tavannes gold pocket watch – circa 1944 (1 of 14).tif, or if I didn’t know how many would eventually show up, it would be Tavannes gold pocket watch – circa 1944 -0297.tif. The detail-oriented demon in me would also create a PDF/A file or Readme.txt file with the names of all of the folders and the images in them, along with a description of the images. You might not. But I would, and I’d put it in the top level folders (/TIFF and /JPEG), not the root. Never put a file you need in the root of any media because, if the file structure needs to be recovered by a data salvage process, almost everything in the root has a very low chance of being successfully recovered. Everything in a folder has a better chance of being recovered. Check that no hardware faults have occurred in the media (ALL photographs are still accessible). Happy Birthday! Get your licence plate tags and check your archive. Don’t let your heirloom images disappear into the bog of outdated media.